Hermann Beck is Professor of History at the University of Miami. 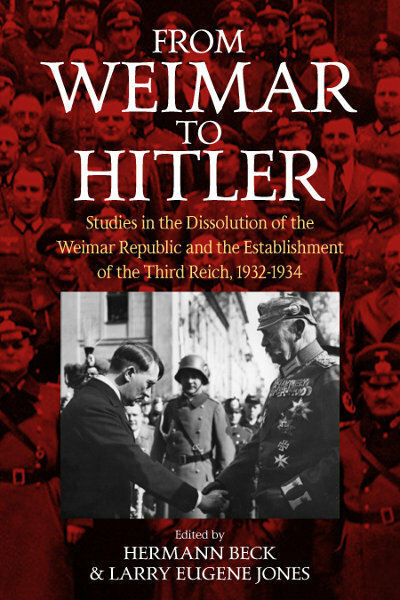 He is the author of Conservatives, Bureaucracy, and the Social Question in Prussia, 1815-1870 (1995), and The Fateful Alliance: German Conservatives and Nazis in 1933 (2008). Larry Eugene Jones is Professor of Modern European History at Canisius College in Buffalo, New York. He is the author of German Liberalism and the Dissolution of the Weimar Party System, 1918-1933 (1988), and Hitler versus Hindenburg (2015).